224 S. Broad St. , Center City , Philadelphia , PA , USA (Postal Code: 19102). Among all the activities supplied by the center, in case you are thinking about swimming you can enjoy 25 meters, 4 lanes, Indoors. Just in case you need to contact this Pool before dropping by, we only know the phone number. 29th and Clearfield Streets , Philadelphia , PA , USA (Postal Code: 19132). This sports center gives 25 yards, 5 lanes, Indoors. For this Swimming Pool, only phone number is number here. 2840 Holme Ave. , Philadelphia , PA , USA (Postal Code: 19152). 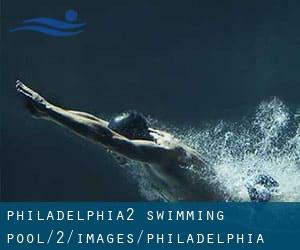 Among all of the activities provided by the center, if you are considering swimming you can expect to enjoy 25 yards x 42 feet, 6 lanes, Indoors. Just in case you want to contact this Swimming Pool prior to dropping by, we only know the phone number. Germantown and Staub Streets , Philadelphia , PA , USA (Postal Code: 19140). Swimmers like you reported 25 yards, 5 lanes, Indoors. Phone number and e-mail address are number for this Swimming Pool. 37th and Filbert Streets , University City , Philadelphia , PA , USA (Postal Code: 19104). Among all the activities provided by the center, if you are interested in swimming you'll enjoy 25 yards, 5 lanes, Indoors. Just in case you need to make contact with this Pool prior to dropping by, we only know the phone number. 3600 Grant Ave. , Philadelphia , PA , USA (Postal Code: 19114). Swimmers like you reported Olympic size x 60 feet, 8 lanes, Indoors. Unfortunately we do not have the email address of this Pool, but we can provide you with the phone number. One Arrivals Road , Philadelphia , PA , USA (Postal Code: 19153). Swimmers like you reported ~22 yards - 23 yards, Indoors. Unfortunately we do not have the e-mail address of this Swimming Pool, but we can provide you with the phone number.